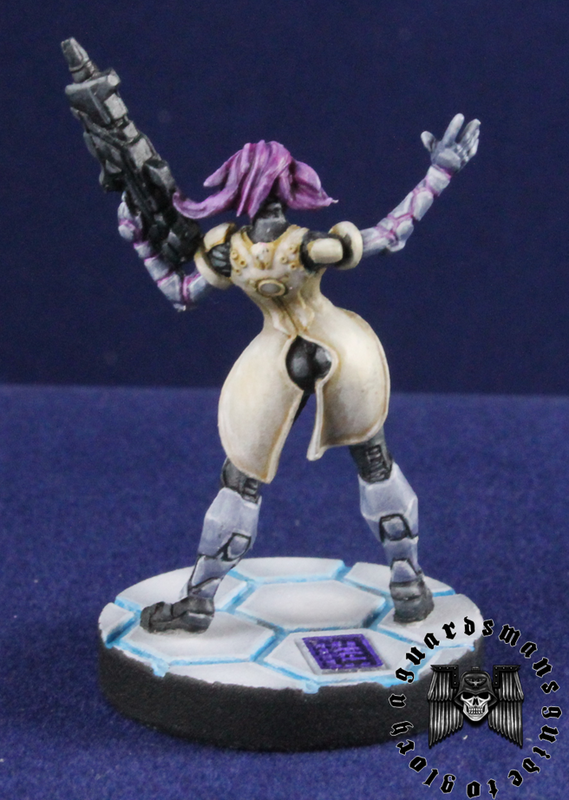 So first up in a long line of Infinity posts is my Sophotects. 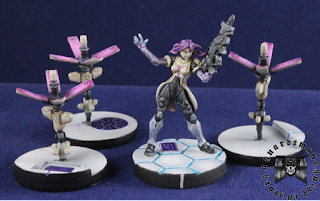 For me an 'auto include' model for any Vanilla Alpeh force due to her Doctor/Engineer abilities. She's also pretty fast!! 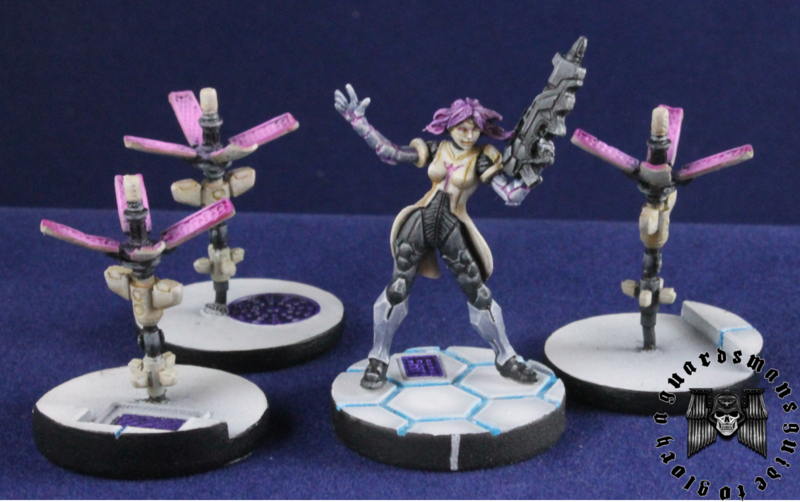 I've also painted up the Netroids that came with the Sophotects set. I still have the 2 Yudbots to paint up. So far she's been performing pretty well! I won't be dropping her anytime soon!. Lovely paint job, but she seems to have both sets of cleavage on display! 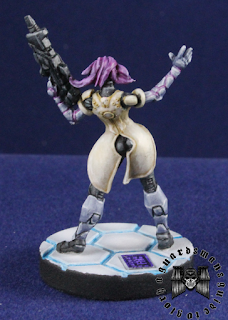 I like the purple accents on her and the cream-colored robes are nice.